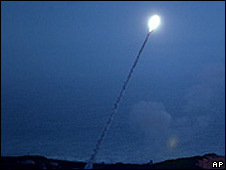 The upper house of the Czech parliament has backed US plans to install part of a missile defence shield on Czech soil. The deal still has to be approved by the lower house, where the opposition is against the shield. The US wants to build a radar on Czech soil and put 10 interceptor rockets in Poland as a defence against what Washington describes as "rogue" states. Russia sees the shield as a direct threat and has said it will deploy new missiles in the Baltic in response. Earlier this month, Russian President Dmitry Medvedev said Moscow would deploy short-range Iskander missiles in the Kaliningrad region to "neutralise" the US shield. Russia later said it wanted to discuss the issue with the incoming administration of Democrat Barack Obama, who will replace George W Bush as US president in January.